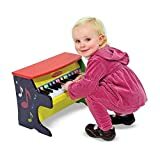 BRIGHTLY-PAINTED WOODEN PIANO: The Melissa & Doug Learn-to-Play Piano is an upright wooden piano that features 25 keys and 2 full octaves. SOLID WOOD CONSTRUCTION: Our toy piano for children is built with solid wood construction. 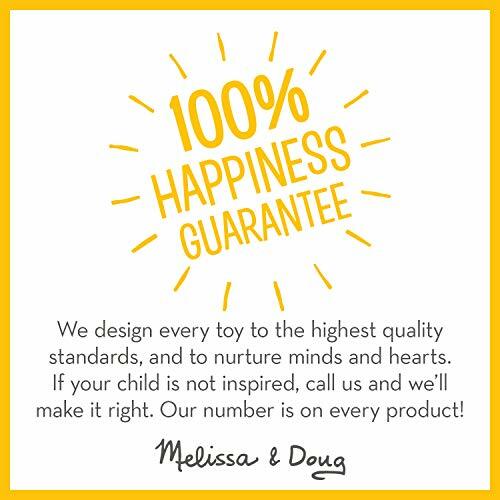 Its high-quality materials and superior construction ensure safety and durability. 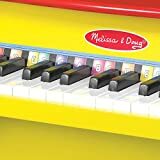 EASY TO PLAY: The Melissa & Doug Learn-to-Play Piano is easy to play and comes with an illustrated songbook (English lyrics). 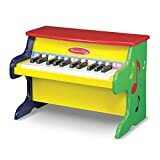 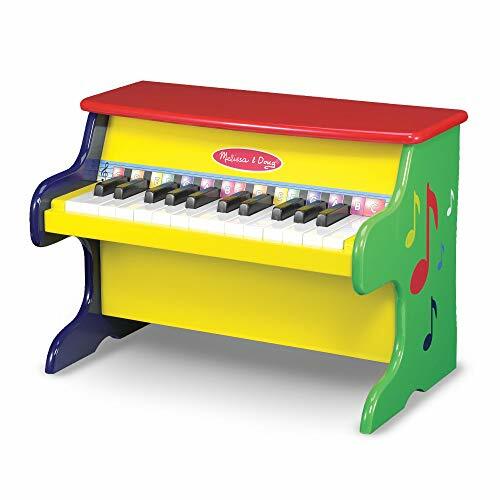 GIFT FOR KIDS 3 TO 5 YEARS: This piano makes a great gift for kids ages 3 to 5. 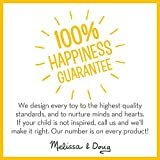 Add the Melissa & Doug Band in a Box to round out the musical play experience and give kids another engaging option for screen-free fun.